This text was copied from Wikipedia on 18 January 2019 at 6:03AM. The 1st Earl of Shaftesbury, ca. 1672–73. Anthony Ashley Cooper, PC (22 July 1621 – 21 January 1683), known as Anthony Ashley Cooper from 1621 to 1630, as Sir Anthony Ashley Cooper, 2nd Baronet from 1630 to 1661, and as The Lord Ashley from 1661 to 1672, was a prominent English politician during the Interregnum and during the reign of King Charles II. A founder of the Whig party, he is also remembered as the patron of John Locke. Anthony Ashley Cooper was born in 1621 and had lost both of his parents by the age of eight. He was brought up by Edward Tooker and other guardians named in his father's will, before attending Exeter College, Oxford, and Lincoln's Inn. After he married the daughter of Thomas Coventry, 1st Baron Coventry, in 1639, Coventry's patronage secured Cooper a seat in the Short Parliament, although Cooper lost a disputed election to a seat in the Long Parliament. During the English Civil War, Cooper initially fought as a Royalist, before departing for the Parliamentary side in 1644. During the English Interregnum, he served on the English Council of State under Oliver Cromwell, although he opposed Cromwell's attempt to rule without parliament during the Rule of the Major-Generals. He also opposed the religious extremism of the Fifth Monarchists during Barebone's Parliament. As a member of Parliament, Cooper opposed the New Model Army's attempts to rule the country following the downfall of Richard Cromwell, and he encouraged Sir George Monck's march on London. Cooper served as a member of the Convention Parliament of 1660, which determined to restore the English monarchy, and Cooper was one of twelve members of parliament who travelled to the Dutch Republic to invite King Charles II to return to England. Shortly before his coronation, Charles created Cooper Lord Ashley, so when the Cavalier Parliament assembled in 1661 he moved from the House of Commons to the House of Lords. He served as Chancellor of the Exchequer, 1661–1672. During the ministry of the Earl of Clarendon, Shaftesbury opposed the imposition of the Clarendon Code and supported Charles II's Declaration of Indulgence (1662), which the king was ultimately forced to withdraw. After the fall of Clarendon, Ashley was one of the members of the so-called Cabal Ministry, serving as Lord Chancellor 1672–1673. He was created Earl of Shaftesbury in 1672. During this period, John Locke entered Ashley's household. Ashley took an interest in colonial ventures and was one of the Lords Proprietor of the Province of Carolina; in 1669, Ashley and Locke collaborated in writing the Fundamental Constitutions of Carolina. By 1673, Ashley was worried that the heir to the throne, James, Duke of York, was secretly a Roman Catholic. After the Cabal Ministry ended, Shaftesbury became a leader of the opposition to the policies pursued by Thomas Osborne, Earl of Danby. Danby favoured strict interpretation of the penal laws, enforcing mandatory membership of the Church of England. Shaftesbury, who sympathised with the Protestant Nonconformists, briefly agreed to work with the Duke of York, who opposed enforcing the penal laws against Roman Catholic recusants. By 1675, however, Shaftesbury was convinced that Danby, assisted by the bishops of the Church of England, was determined to transform England into an absolute monarchy, and he soon came to see the Duke of York's own religion as linked to this issue. Opposed to the growth of "popery and arbitrary government", throughout the latter half of the 1670s Shaftesbury argued in favour of frequent parliaments (spending time in the Tower of London, 1677–1678 for espousing this view) and argued that the nation needed protection from a potential Roman Catholic successor to King Charles II. During the Exclusion Crisis, Shaftesbury was an outspoken supporter of the Exclusion Bill, although he also endorsed other proposals that would have prevented the Duke of York from becoming king, such as Charles II's remarrying a Protestant princess and producing a Protestant heir to the throne, or legitimising Charles II's illegitimate Protestant son the Duke of Monmouth. The Whig party was born during the Exclusion Crisis, and Shaftesbury was one of the party's most prominent leaders. In 1681, during the Tory reaction following the failure of the Exclusion Bill, Shaftesbury was arrested for high treason, although the prosecution was dropped several months later. In 1682, after the Tories had gained the ability to pack London juries with their supporters, Shaftesbury, fearing a second prosecution, fled the country. Upon arriving in Amsterdam, he fell ill, and soon died, in January 1683. Location of Dorset in England. Anthony Ashley Cooper was born in Dorset in 1621, and he would maintain important links with Dorset throughout his political career. Cooper was the eldest son and successor of Sir John Cooper, 1st Baronet, of Rockbourne in Hampshire, and his mother was the former Anne Ashley, daughter and sole heiress of Sir Anthony Ashley, 1st Baronet. He was born on 22 July 1621, at the home of his maternal grandfather Sir Anthony Ashley in Wimborne St Giles, Dorset. He was named Anthony Ashley Cooper because of a promise the couple had made to Sir Anthony. Although Sir Anthony Ashley was of minor gentry stock, he had served as Secretary at War in the reign of Queen Elizabeth I, and in 1622, two years after the death of his first wife, Sir Anthony Ashley married the 19-year-old Philippa Sheldon (51 years his junior), a relative of George Villiers, Marquess of Buckingham, thus cementing relations with the most powerful man at court. Cooper's father was created a baronet in 1622, and he represented Poole in the parliaments of 1625 and 1628, supporting the attack on Richard Neile, Bishop of Winchester for his Arminian tendencies. Sir Anthony Ashley insisted that a man with Puritan leanings, Aaron Guerdon, be chosen as Cooper's first tutor. Cooper's mother died in 1628. In 1629, his father remarried, this time to the widowed Mary Moryson, one of the daughters of wealthy London textile merchant Baptist Hicks and co-heir of his fortune. Through his stepmother, Cooper thus gained an important political connection in the form of her grandson, the future 1st Earl of Essex. Cooper's father died in 1630, leaving Cooper a wealthy orphan. Upon his father's death, he inherited his father's baronetcy and was now Sir Anthony Ashley Cooper. Cooper's father had held his lands in knight-service, so Cooper's inheritance now came under the authority of the Court of Wards. The trustees whom his father had appointed to administer his estate, his brother-in-law (Anthony Ashley Cooper's uncle by marriage) Edward Tooker and his colleague from the House of Commons, Sir Daniel Norton, purchased Cooper's wardship from the king, but they remained unable to sell Cooper's land without permission of the Court of Wards because, on his death, Sir John Cooper had left some £35,000 in gambling debts. The Court of Wards ordered the sale of the best of Sir John's lands to pay his debts, with several sales commissioners picking up choice properties at £20,000 less than their market value, a circumstance which led Cooper to hate the Court of Wards as a corrupt institution. Cooper was sent to live with his father's trustee Sir Daniel Norton in Southwick, Hampshire (near Portsmouth). Norton had joined in Sir John Cooper's denunciation of Arminianism in the 1628–29 parliament, and Norton chose a man with Puritan leanings named Fletcher as Cooper's tutor. The Gate of Lincoln's Inn. Cooper attended Lincoln's Inn, beginning in 1638, to receive an education in the laws of England. Throughout his political career, Cooper posed as a defender of the rule of law, at various points in his career breaking with both Oliver Cromwell (1599–1658) and Charles II (1630–1685) when he perceived they were subverting the rule of law and introducing arbitrary government. Sir Daniel died in 1636, and Cooper was sent to live with his father's other trustee, Edward Tooker, at Maddington, near Salisbury. Here his tutor was a man with an MA from Oriel College, Oxford. Cooper matriculated at Exeter College, Oxford on 24 March 1637, aged 15, where he studied under its master, the Regius Professor of Divinity, John Prideaux, a Calvinist with vehemently anti-Arminian tendencies. While there he fomented a minor riot and left without taking a degree. In February 1638, Cooper was admitted to Lincoln's Inn, where he was exposed to the Puritan preaching of chaplains Edward Reynolds and Joseph Caryl. On 25 February 1639, aged 19, Cooper married Margaret Coventry, daughter of Thomas Coventry, 1st Baron Coventry, who was then serving as Lord Keeper of the Great Seal for Charles I. As Cooper was still a minor, the young couple moved into Lord Coventry's residences of Durham House in the Strand, London and at Canonbury in Islington. Cooper's father-in-law Thomas Coventry, 1st Baron Coventry (1578–1640), who served as Lord Keeper of the Great Seal 1625–1640. Cooper first entered politics under Lord Coventry's tutelage. In March 1640, while still a minor, Cooper was elected Member of Parliament for the borough of Tewkesbury, Gloucestershire in the Short Parliament through the influence of Lord Coventry. In October 1640, with opinion in the country swinging against the king's supporters (including Coventry), Cooper was not asked to stand for election for Tewkesbury in the Long Parliament. He contested, and by some accounts, won a by-election to the seat of Downton in Wiltshire, but Denzil Holles, soon to rise to prominence as a leader of the opposition to the King and a personal rival of Sir Anthony, blocked Cooper's admission to the Parliament. It was probably feared that Sir Anthony, as a result of his recent marriage to the daughter of Charles I's Lord Keeper, Coventry, would be too sympathetic to the king. When the Civil War began in 1642, Cooper initially supported the King (somewhat echoing Holles's concerns). After a period of vacillating, in summer 1643, at his own expense, he raised a regiment of foot and a troop of horse, serving as their colonel and captain respectively. Following the Royalist victory at the Battle of Roundway Down on 13 July 1643, Cooper was one of three commissioners appointed to negotiate the surrender of Dorchester when he negotiated a deal whereby the town agreed to surrender in exchange for being spared plunder and punishment. However, troops under Prince Maurice soon arrived and plundered Dorchester and Weymouth, Dorset anyway, leading to heated words between Cooper and Prince Maurice. Maurice of the Palatinate (1620–1652), depicted as Mercury. Prince Maurice then attempted to block Cooper's appointment as governor of Weymouth and Portland. William Seymour, Marquess of Hertford, the commander of the Royalist forces in the west, had recommended Cooper be appointed governor of Weymouth and Portland, but Prince Maurice intervened to block the appointment, on grounds of Cooper's alleged youth and inexperience. Cooper appealed to the Chancellor of the Exchequer, Edward Hyde; Hyde arranged a compromise whereby Cooper would be appointed as governor but resign as soon as it was possible to do so without losing face. Cooper was promised that upon resigning as governor, he would be made High Sheriff of Dorset and president of the council of war for Dorset, both of which were offices more prestigious than the governorship. Cooper spent the remainder of 1643 as governor of Weymouth and Portland. In early 1644, Cooper resigned all of his posts under the king, and travelled to Hurst Castle, the headquarters of the Parliamentarians. Called before the Committee of Both Kingdoms, on 6 March 1644, he explained that he believed that Charles I was now being influenced by Roman Catholic influences (Catholics were increasingly prominent at Charles' court, and he had recently signed a truce with Irish Catholic rebels) and that he believed Charles had no intention of "promoting or preserving ... the Protestant religion and the liberties of the kingdom" and that he therefore believed the parliamentary cause was just, and he offered to take the Solemn League and Covenant. In July 1644, the House of Commons gave Cooper permission to leave London, and he soon joined parliamentary forces in Dorset. After participating in a campaign, in August, parliament appointed him to the committee governing the army in Dorset. Cooper participated in fighting throughout 1644. However, in 1645, with the passing of the Self-denying Ordinance, Cooper chose to resign his commissions in the parliamentary army (which was, at any rate, being supplanted by the creation of the New Model Army) to preserve his claim to be the rightful member for Downton. He nevertheless continued to be active in the Dorset committee as a civil member. It was during this period that Cooper first expressed an interest in overseas plantations, investing in a plantation in Barbados in 1646. Little is known of Cooper's activities in the late 1640s. It is often assumed that he supported the Presbyterians against the Independents, and, as such, opposed the regicide of Charles I. Nevertheless, he was willing to work with the new regime, accepting a commission as justice of the peace for Wiltshire and Dorset in February 1649 and acting as High Sheriff of Wiltshire for 1647. Furthermore, in February 1650, he not only took the oath of loyalty to the new regime, but was a member of a commission that tendered the oath. Cooper's first wife, Margaret, died on 10 July 1649; the couple had had no children. Less than a year later, on 15 April 1650, Cooper remarried, to seventeen-year-old Lady Frances Cecil (1633–1652), daughter of David Cecil, 3rd Earl of Exeter. The couple had two children, one of whom, Anthony, lived to adulthood. Frances died on 31 December 1652, aged only 19. On 17 January 1652, the Rump Parliament appointed Cooper to the committee on law reform chaired by Sir Matthew Hale (the so-called Hale Commission, none of whose moderate proposals were ever enacted). In March 1653, the Rump issued a full pardon for his time as a Royalist, opening the way for his return to public office. Following the dissolution of the Rump in April 1653, Oliver Cromwell and the Army Council nominated Cooper to serve in Barebone's Parliament as member for Wiltshire. On 14 July, Cromwell appointed Cooper to the English Council of State, where he was a member of the Committee for the Business of the Law, which was intended to continue the reform work of the Hale Commission. Cooper aligned himself with the moderates in Barebone's Parliament, voting against the abolition of tithes. He was one of the members who voted to dissolve Barebone's Parliament on 12 December 1653 rather than acquiesce to the abolition of tithes. Depiction of Stonehenge in the Atlas van Loon (1649). So many voters turned up for the Wiltshire election in 1654, that the poll had to be switched from Wilton to Stonehenge. Cooper won the election. When the Instrument of Government gave England a new constitution 4 days later, Cooper was again named to the Council of State. During the elections for the First Protectorate Parliament in summer 1654, Cooper headed a slate of ten candidates who stood in Wiltshire against 10 republican MPs headed by Edmund Ludlow. At the day of the election, so many voters turned up that the poll had to be switched from Wilton to Stonehenge. Cooper's slate of candidates prevailed, although Ludlow alleged his party was in the majority. At the same election, Cooper was also elected MP for Tewkesbury and Poole but chose to sit for Wiltshire. Although Cooper was generally supportive of Cromwell during the First Protectorate Parliament (he voted in favour of making Cromwell king in December 1654), he grew worried that Cromwell was growing inclined to rule through the Army rather than through Parliament. This led Cooper to break with Cromwell: in early January 1655, he stopped attending Council and introduced a resolution in parliament making it illegal to collect or pay revenue not authorised by parliament. Cromwell dissolved this parliament on 22 January 1655. The exiled Charles II, hearing of Cooper's break with Cromwell, wrote to Cooper saying that he would pardon Cooper for fighting against the crown if he would now help to bring about a restoration of the monarchy. Cooper did not respond, nor did he participate in the Penruddock uprising in March 1655. On 30 August 1655, Cooper married his third wife, Margaret Spencer (1627–1693), daughter of William Spencer, 2nd Baron Spencer of Wormleighton and sister of Henry Spencer, 1st Earl of Sunderland. Cooper was again elected as a member for Wiltshire in the Second Protectorate Parliament, although when the parliament met on 17 September 1656, Cooper was one of 100 members whom the Council of State excluded from the parliament. Cooper was one of 65 excluded members to sign a petition protesting their exclusion that was delivered by Sir George Booth. Cooper eventually took his seat in the parliament on 20 January 1658, after Cromwell accepted an amended version of the Humble Petition and Advice that stipulated that the excluded members could return to parliament. Upon his return to the house, Cooper spoke out against Cromwell's Other House. Portrait miniature of Sir Anthony Ashley Cooper by Samuel Cooper. Cooper was elected to the Third Protectorate Parliament in early 1659 as member for Wiltshire. During the debates in this parliament, Cooper sided with the republicans who opposed the Humble Petition and Advice and insisted that the bill recognising Richard Cromwell as Protector should limit his control over the militia and eliminate the protector's ability to veto legislation. Cooper again spoke out against the Other House (consisting of new lords), and in favour of restoring the old House of Lords. When Richard Cromwell dissolved parliament on 22 April 1659 and recalled the Rump Parliament (dissolved by Oliver Cromwell in 1653), Cooper attempted to revive his claim to sit as member for Downton. He was also re-appointed to the Council of State at this time. Throughout this time, many accused Cooper of harbouring royalist sympathies, but Cooper denied this. In August 1659, Cooper was arrested for complicity in Sir George Booth's Presbyterian royalist uprising in Cheshire, but in September the Council found him not guilty of any involvement. In October 1659, the New Model Army dissolved the Rump Parliament and replaced the Council of State with its own Committee of Safety. Cooper, republicans Sir Arthur Haselrig and Henry Neville and six other members of the Council of State continued to meet in secret, referring to themselves as the rightful Council of State. This secret Council of State came to see Sir George Monck, commander of the forces in Scotland as the best hope to restore the Rump, and Cooper and Haselrig met with Monck's commissioners, urging them to restore the Rump. Cooper was involved in several plots to launch pro-Rump uprisings at this time. This proved unnecessary as, on 23 December 1659, troops resolved to stand by the Rump and the Council of State and disobey the Committee of Safety. The Rump Parliament reassembled on 26 December 1659, and on 2 January 1660, Cooper was elected to the Council of State. On 7 January 1659, a special committee reported back on the disputed 1640 Downton election and Cooper was finally allowed to take his seat as member for Downton. Sir George Monck (1608–1670). In the complicated politics of 1659, Cooper was in contact with Monck, encouraging him to march on London and then to recall the Long Parliament, and ultimately restore the English monarchy. Upon General Monck's march into London, Monck was displeased that the Rump Parliament was not prepared to confirm him as commander-in-chief of the army. On Cooper's urging, Monck's troops marched into London and Monck sent parliament a letter insisting that the vacant seats in the Rump Parliament be filled by-elections. When the Rump insisted on placing restrictions on who could stand in these by-elections, Cooper urged Monck to insist instead on the return of the members of the Long Parliament secluded by Pride's Purge, and Monck obliged on 21 February 1660. Two days later, the restored Long Parliament again elected Cooper to the Council of State. On 16 March 1660, the Long Parliament finally voted its own dissolution. Beginning in spring 1660, Cooper drew closer to the royalist cause. As late as mid-April, Cooper appears to have favoured only a conditional restoration. In April 1660 he was re-elected MP for Wiltshire in the Convention Parliament. On 25 April he voted in favour of an unconditional restoration. On 8 May, the Convention Parliament appointed Cooper as one of twelve members to travel to The Hague to invite Charles II to return to England. Cooper returned to England with Charles in late May. On the recommendation of General Monck and Cooper's wife's uncle, Thomas Wriothesley, 4th Earl of Southampton, Charles appointed Cooper to his privy council on 27 May 1660. Cooper took advantage of the Declaration of Breda and was formally pardoned for his support of the English Commonwealth on 27 June 1660. During this period, he helped reorganise the privy council's committee on trade and plantations. Cooper thus became a spokesman for the government in the Convention Parliament. However, during the debates on the Indemnity and Oblivion Bill, Cooper urged leniency for those who had sided with Parliament during the English Civil Wars or collaborated with the Cromwellian regime. He argued that only those individuals who had personal involvement in the decision to execute Charles I by participating in his trial and execution should be exempt from the general pardon. This view prevailed. After the Indemnity and Oblivion Act became law on 29 August 1660, Cooper sat on the special commission that tried the regicides, and in this capacity took part in sentencing to death several colleagues with whom he had collaborated during the years of the English Interregnum, including Hugh Peters, Thomas Harrison, and Thomas Scot. As a long-time foe of the Court of Wards, during the debate on the Tenures Abolition Bill, Cooper supported continuing the excise imposed by the Long Parliament to compensate the crown for the loss of revenues associated with the abolition of the court. Charles II of England (1630–1685) in his coronation robes, 1661. Cooper was one of twelve members of Parliament who travelled to the Dutch Republic to invite Charles to return to England, and in 1661, Charles created Cooper Lord Ashley. On 20 April 1661, three days before his coronation at Westminster Abbey, Charles II announced his coronation honours, and in those honours he created Cooper Baron Ashley, of Wimborne St Giles. Following the coronation, the Cavalier Parliament met beginning on 8 May 1661. Lord Ashley took his seat in the House of Lords on 11 May. On 11 May, the king appointed Ashley as his Chancellor of the Exchequer and under-treasurer (Southampton, Ashley's uncle by marriage, was then Lord High Treasurer). In 1661–1662, Ashley opposed Charles' marriage to Catherine of Braganza because the marriage would involve supporting the Kingdom of Portugal, and Portugal's ally France, in Portugal's struggle against Spain. Ashley was opposed to a policy that moved England into the French orbit. During this debate, Ashley opposed the policy engineered by Charles' Lord Chancellor, Edward Hyde, 1st Earl of Clarendon, thus beginning what would prove to be a long-running political rivalry with Clarendon. When the Cavalier Parliament set about enacting the Clarendon Code, Ashley supported a policy of moderation towards Protestant dissenters. In July 1662, Ashley sponsored an amendment to the Act of Uniformity that would have allowed Protestant Nonconformists to allow for late subscription, giving moderate dissenters an additional opportunity to conform. In the latter half of 1662, Ashley joined Sir Henry Bennet, the Earl of Bristol, and Lord Robartes in urging Charles to dispense peaceable Protestant Nonconformists and loyal Catholics from the Act of Uniformity. This led to Charles issuing his first Declaration of Indulgence on 26 December 1662. The Cavalier Parliament forced Charles to withdraw this declaration in February 1663. Ashley then supported Lord Robartes' Dispensing Bill, which would have dispensed Protestant Nonconformists, but not Catholics, from the Act of Uniformity. During the debate on the Dispensing Bill in the House of Lords, Ashley criticised Edward Hyde, 1st Earl of Clarendon, Charles' Lord Chancellor, for opposing the royal prerogative to dispense with laws. Clarendon remarked that in his opinion, the declaration was "Ship-Money in religion". The king looked favourably on Ashley's remarks and was displeased by Clarendon's. Edward Hyde, 1st Earl of Clarendon (1609–1674), Charles II's Lord Chancellor from 1658 to 1667. Ashley clashed with Clarendon throughout the 1660s, but Ashley refused to support the impeachment of Clarendon in 1667. In May 1663, Ashley was one of eight Lords Proprietors (Lord Clarendon was one of the others) given title to a huge tract of land in North America, which eventually became the Province of Carolina, named in honour of King Charles. Ashley and his assistant John Locke drafted a plan for the colony known as the Grand Model, which included the Fundamental Constitutions of Carolina and a framework for settlement and development. By early 1664, Ashley was a member of the circle of John Maitland, 1st Duke of Lauderdale, who ranged themselves in opposition to Lord Clarendon. During the debate on the Conventicle Bill in May 1664, Ashley proposed mitigating the harshness of the penalties initially suggested by the House of Commons. Throughout late 1664 and 1665, Ashley was increasingly in the royal favour. For example, in August 1665, the king paid a surprise visit to Ashley at Wimborne St Giles, and, during a later visit, introduced Ashley to his illegitimate son James Scott, 1st Duke of Monmouth. The Second Anglo–Dutch War began on 4 March 1665. During the parliamentary session of October 1665, Sir George Downing, 1st Baronet proposed that the use of funds voted to the crown should be restricted to the sole purpose of carrying on the war. Ashley opposed this proposal on the grounds that crown ministers should have flexibility in deciding how to use money received from parliamentary taxation. In the 1666–1667 parliamentary session, Ashley supported the Irish Cattle Bill, introduced by the Duke of Buckingham, which prevented the importation of Irish cattle into England. During the course of this debate, Ashley attacked Charles' Lord Lieutenant of Ireland, James Butler, 1st Duke of Ormonde. He suggested that Irish peers such as Ormonde should have no precedence over English commoners. The debate over the Irish Cattle Bill marks the first time that Ashley began to break with the court over an issue of policy. A rough picture of a young Shaftesbury, when he was known as Lord Ashley. In October 1666, Ashley met John Locke, who would in time become his personal secretary. Ashley had gone to Oxford seeking treatment for a liver infection. There he was impressed with Locke and persuaded him to become part of his retinue. Locke had been looking for a career and in spring 1667 moved into Ashley's home at Exeter House in London, ostensibly as the household physician. Beginning in 1667, Shaftesbury and Locke work closely on the Grand Model for the Province of Carolina and its centerpiece, the Fundamental Constitutions of Carolina. When Southampton died in May 1667, Ashley, as under-treasurer, was expected to succeed Southampton as Lord High Treasurer. King Charles, however, decided to replace Southampton with a nine-man Commission of the Treasury, headed by the Duke of Albemarle as First Lord of the Treasury. Ashley was named as one of the nine Treasury Commissioners at this time. The failures of the English during the Second Anglo-Dutch War led Charles II to lose faith in the Earl of Clarendon, who was dismissed as Lord Chancellor on 31 August 1667. The court then moved to impeach Clarendon, supported by many of Ashley's former political allies (including George Villiers, 2nd Duke of Buckingham, George Digby, 2nd Earl of Bristol, and Sir Henry Bennett, who by this point had been created Henry Bennet, 1st Earl of Arlington). Ashley, however, refused to join in the fight against Clarendon, opposing a motion to have Clarendon committed to the Tower of London on a charge of treason. After the fall of Lord Clarendon in 1667, Lord Ashley became a prominent member of the Cabal, in which he formed the second "A". Although the term "Cabal Ministry" is used by historians, in reality, the five members of the Cabal (Clifford, Arlington, Buckingham, Ashley, and Lauderdale) never formed a coherent ministerial team. In the period immediately after the fall of Clarendon, the government was dominated by Arlington and Buckingham, and Ashley was out of royal favour and not admitted to the most powerful group of royal advisors, the privy council's committee on foreign affairs. Nevertheless, Ashley joined Arlington and Buckingham, as well as John Wilkins, Bishop of Chester, in introducing government-backed bills in October 1667 and February 1668 to include moderate dissenters within the Church of England. Nothing came of these bills, however. In January 1668, the privy council's committees were reorganised, but Ashley retained a prominent position on the committee for trade and plantations. Thomas Clifford, 1st Baron Clifford of Chudleigh (1630–1673). Henry Bennet, 1st Earl of Arlington (1618–1685). George Villiers, 2nd Duke of Buckingham (1628–1687). Anthony Ashley Cooper, 1st Baron Ashley of Wimborne St Giles (1621–1683). John Maitland, 1st Duke of Lauderdale (1616–1682). In May 1668, Ashley became ill, apparently with a hydatid cyst. His secretary, John Locke, recommended an operation that almost certainly saved Ashley's life and Ashley was grateful to Locke for the rest of his life. As part of the operation, a tube was inserted to drain fluid from the abscess, and after the operation, the physician left the tube in the body, and installed a copper tap to allow for possible future drainage. In later years, this would be the occasion for his Tory enemies to dub him "Tapski", with the Polish ending because Tories accused him of wanting to make England an elective monarchy like the Polish–Lithuanian Commonwealth. In 1669, Ashley supported Arlington and Buckingham's proposal for a political union of England with the Kingdom of Scotland, although this proposal floundered when the Scottish insisted on equal representation with the English in parliament. Ashley probably did not support the Conventicles Act of 1670, but he did not sign the formal protest against the passage of the act either. Ashley, in his role as one of the eight Lords Proprietor of the Province of Carolina, along with his secretary, John Locke, drafted the Fundamental Constitutions of Carolina, which were adopted by the eight Lords Proprietor in March 1669. By this point, it had become obvious that the queen, Catherine of Braganza, was barren and would never produce an heir, making the king's brother, James, Duke of York heir to the throne, which worried Ashley because he suspected that James was a Roman Catholic. Ashley, Buckingham, and Charles Howard, 1st Earl of Carlisle urged Charles to declare his illegitimate son, the Duke of Monmouth, legitimate. When it became clear that Charles would not do so, they urged Charles to divorce Catherine and remarry. This was the background to the famous Roos debate case: John Manners, Lord Roos had obtained a separation from bed and board from his wife in 1663, after he discovered she was committing adultery, and he had also been granted a divorce by an ecclesiastical court and had Lady Roos' children declared illegitimate. In March 1670, Lord Roos asked Parliament to allow him to remarry. The debate on the Roos divorce bill became politically charged because it impacted on whether Parliament could legally allow Charles to remarry. During the debate, Ashley spoke out strongly in favour of the Roos divorce bill, arguing that marriage was a civil contract, not a sacrament. Parliament ultimately gave Lord Roos permission to remarry, but Charles II never attempted to divorce his wife. Princess Henrietta of England (1644–1670), sister of Charles II, who arranged the Secret Treaty of Dover in May 1670; Ashley was not told about the Catholic clauses contained in the Secret Treaty of Dover, and, to fool Ashley, Buckingham, and Lauderdale, a second, public Treaty of Dover was signed in December 1670. Ashley did not know about the Secret Treaty of Dover, arranged by Charles II's sister Henrietta Anne Stuart and signed 22 May 1670, whereby Charles II concluded an alliance with Louis XIV of France against the Dutch Republic. Under the terms of the Secret Treaty of Dover, Charles would receive an annual subsidy from France (to enable him to govern without calling a parliament) in exchange for a promise that he would convert to Catholicism and re-Catholicize England at an unspecified future date. Of the members of the Cabal, only Arlington and Clifford were aware of the Catholic Clauses contained in the Secret Treaty of Dover. For the benefit of Ashley, Buckingham, and Lauderdale, Charles II arranged a mock treaty (traité simulé) concluding an alliance with France. Although he was suspicious of France, Ashley was also wary of Dutch commercial competition, and he therefore signed the mock Treaty of Dover on 21 December 1670. Throughout 1671, Ashley argued in favour of reducing the duty on sugar imports, arguing that the duty would have an adverse effect on colonial sugar planters. In September 1671, Ashley and Clifford oversaw a massive reform of England's customs system, whereby customs farmers were replaced with royal commissioners responsible for collecting customs. This change was ultimately to the benefit of the crown, but it caused a short-term loss of revenues that led to the Great Stop of the Exchequer. Ashley was widely blamed for the Great Stop of the Exchequer, although Clifford was the chief advocate of stopping the exchequer and Ashley in fact opposed the move. In early 1672, with the Third Anglo–Dutch War looming, many in the government feared that Protestant dissenters in England would form a fifth column and support their Dutch co-religionists against England. In an attempt to conciliate the Nonconformists, on 15 March 1672, Charles II issued his Royal Declaration of Indulgence, suspending the penal laws that punished non-attendance at Church of England services. Ashley strongly supported this Declaration. According to the terms of the Treaty of Dover, England declared war on the Dutch Republic on 7 April 1672, thus launching the Third Anglo-Dutch War. To accompany the commencement of the war, Charles issued a new round of honours, as part of which Ashley was named Earl of Shaftesbury and Baron Cooper of Paulet on 23 April 1672. In autumn 1672, Shaftesbury played a key role in setting up the Bahamas Adventurers' Company. On 17 November 1672, the king named Shaftesbury Lord Chancellor of England, with Sir John Duncombe replacing Shaftesbury as Chancellor of the Exchequer. As Lord Chancellor, he addressed the opening of a new session of the Cavalier Parliament on 4 February 1673, calling on parliament to vote funds sufficient to carry out the war, arguing that the Dutch were the enemy of monarchy and England's only major trade rival, and therefore had to be destroyed (at one point he exclaimed "Delenda est Carthago"); defending the Great Stop of the Exchequer; and arguing in support of the Royal Declaration of Indulgence. Shaftesbury was not, however, well received by the House of Commons. One of Shaftesbury's old Dorset rivals, Colonel Giles Strangways, led an attack on writs of election that Lord Chancellor Shaftesbury had issued to fill 36 vacant seats in the House of Commons; Strangways argued that Shaftesbury was attempting to pack the Commons with his supporters and that only the Speaker of the House could issue writs to fill the vacant seats. The House of Commons agreed with Strangways and declared the elections void and the seats vacant. Furthermore, the Commons attacked the Declaration of Indulgence and demanded its withdrawal. Charles ultimately withdrew the address and cancelled the Declaration of Indulgence. Shaftesbury in the robes of the Lord Chancellor, ca. 1672–1673. The Commons then passed an address condemning the growth of popery in England. To shore up the Protestantism of the nation, Parliament passed the Test Act of 1673, which became law on 20 March 1673. The Test Act required all holders of civil and military office in England to take communion in the Church of England at least once a year and to make a declaration renouncing the Catholic doctrine of transubstantiation. Shaftesbury supported the Test Act, and, alongside James Scott, 1st Duke of Monmouth, received the sacrament at St Clement Danes, with John Locke serving as the legal witness for each man's conformity with the Test Act. In March 1673, Shaftesbury supported a bill for easing the plight of the Protestant dissenters in England, but nothing came of this bill. Following the failure of the Declaration of Indulgence and the passage of the Test Act, it was obvious to all that the Cabal Ministry's days were numbered. Shaftesbury moved closer to the parliamentary opposition during this period, and became a supporter of ending the Third Anglo-Dutch War. The Duke of York failed to take the Anglican sacrament at Easter 1673, further heightening Shaftesbury's concern that he was secretly a Catholic. Shaftesbury was initially mollified by the fact that both of the Duke of York's daughters, Mary and Anne, were committed Protestants. However, in autumn 1673, the Duke of York married the Catholic Mary of Modena by proxy, thus raising the possibility that James might have a son who would succeed to the throne ahead of Mary and Anne and thus give rise to a succession of Catholic monarchs. York urged the king to prorogue parliament before it could vote on a motion condemning his marriage to Mary of Modena, but Shaftesbury used procedural techniques in the House of Lords to ensure that parliament continued sitting long enough to allow the House of Commons to pass a motion condemning the match. Shaftesbury, Arlington, James Butler, 1st Duke of Ormonde, and Henry Coventry all urged Charles II to divorce Catherine of Braganza and remarry a Protestant princess. York began denouncing Shaftesbury to Charles II, and Charles II decided to remove Shaftesbury from his post as Lord Chancellor. On 9 November 1673, Henry Coventry travelled to Exeter House to inform Shaftesbury that he was relieved of his post as Lord Chancellor, but also issuing him a royal pardon for all crimes committed before 5 November 1673. Denzil Holles, 1st Baron Holles (1599–1680), whose London home was used by opposition peers to plan a strategy to counter the growth of Catholic influence in England. Following Shaftesbury's fall from royal favour, Arlington attempted to effect a reconciliation, in November 1673 convincing the French ambassador to offer Shaftesbury a bribe in exchange for supporting the French party at court. Shaftesbury refused this offer, saying he could never support "an interest that was so apparently destructive to [England's] religion and trade." Instead, he allied himself with the Spanish party at court, and urged peace with the Netherlands. He also continued to urge the king to divorce and remarry. In the session of the Cavalier Parliament that began on 7 January 1674, Shaftesbury led the charge to keep England free from popery. He coordinated his efforts with a group of other peers who were displeased with the possibility of a Catholic succession; this group met at the home of Denzil Holles, 1st Baron Holles, and included Charles Howard, 1st Earl of Carlisle, Thomas Belasyse, 2nd Viscount Fauconberg, James Cecil, 3rd Earl of Salisbury, George Villiers, 2nd Duke of Buckingham, and George Savile, 1st Viscount Halifax. On 8 January 1674, Shaftesbury gave a speech in the House of Lords warning that the 16,000 Catholics living in London were on the verge of rebellion, which caused the Lords to pass an address expelling all Catholics from within 10 miles of London. On 12 January, he introduced a measure that would require every peer, including the Duke of York, to take the Oath of Allegiance renouncing the pope and recognising the royal supremacy in the church (the oath was first required by the Popish Recusants Act of 1605). On 24 January, the Earl of Salisbury introduced a bill requiring that any children of the Duke of York should be raised as Protestants. His proposed legislation further provided that neither the king nor any prince of the blood could marry a Catholic without parliamentary consent, on pain of being excluded from the royal succession. Shaftesbury spoke forcefully in favour of Salisbury's proposal; he was opposed by the bishops and Lord Finch. By February, the opposition lords were considering accusing the Duke of York of high treason, which resulted in the king proroguing parliament on 24 February to protect his brother. Shaftesbury's actions in the 1674 session further angered Charles II, so on 19 May 1674, Shaftesbury was expelled from the privy council, and subsequently sacked as Lord Lieutenant of Dorset and ordered to leave London. Thomas Osborne, Earl of Danby (1631–1712), who became Charles II's main adviser following the fall of the Cabal Ministry, and who drew support from former Cavaliers and the supporters of the established Church of England. Charles II now turned to Thomas Osborne, Earl of Danby. Danby proceeded to freeze out peers who had collaborated during the Cromwellian regime and promoted former royalists. Danby was a champion of the Church of England who favoured strict interpretation of the penal laws against both Catholics and Protestant Nonconformists. On 3 February 1675, Shaftesbury wrote a letter to Carlisle in which he argued that the king needed to dissolve the Cavalier Parliament, which had been elected in early 1661, and call fresh elections. He argued that frequent parliamentary elections were in the best interest of both the crown and the people of England. This letter circulated widely in manuscript form. The Duke of York was opposed to Danby's strict enforcement of the penal laws against Catholics, and by April 1675, he had reached out to Shaftesbury to make a truce between them whereby they would be united in opposition to Danby's brand of Anglican royalism. In late April 1675, Danby introduced a Test Oath by which all holding office or seats in either House of Parliament were to declare resistance to the royal power a crime, and promise to abstain from all attempts to alter the government of either church or state. Shaftesbury led the parliamentary opposition to Danby's Test Bill, arguing that, under certain circumstances, it was lawful to resist the king's ministers, and that, as in the case of the Protestant Reformation, it was sometimes necessary to alter the church so as to restore it. In spite of Shaftesbury's eloquence, his view remained the minority view in the parliament, forcing the king to prorogue parliament on 9 June 1675 to avoid the passage of the bill. The Duke of York, grateful for Shaftesbury's assistance in the debate against Danby's bill, now attempted to reconcile Shaftesbury with the king, and Shaftesbury was admitted to kiss the king's hand on 13 June 1675. This, however, angered Danby, who intervened with the king, and on 24 June, the king again ordered Shaftesbury to leave court. In 1675, following the death of Sir Giles Strangways, MP for Dorset, Shaftesbury initially endorsed Lord Digby, son of George Digby, 2nd Earl of Bristol for the seat, but, upon learning that Digby was a strong supporter of the court, he decided to back Thomas Moore, who was the chief supporter of conventicles in the county. This led to Shaftesbury making an enemy of both Digby and Bristol, who accused him of supporting sedition and faction and wanting a return of the English Commonwealth. John Locke (1632–1704), who probably participated in writing A Letter from a Person of Quality to his Friend in the Country (1675). In summer 1675, Shaftesbury wrote a 15,000-word pamphlet entitled A Letter from a Person of Quality to his Friend in the Country denouncing Danby's Test Bill. (Shaftesbury's secretary, John Locke, appears to have played a role in drafting the Letter, although whether solely as amanuensis or in a more active role, perhaps even as ghostwriter, remains unclear.) The Letter argued that since the time of the Restoration, "the High Episcopal Man, and the Old Cavalier" (now led by Danby) had conspired to make "the Government absolute and arbitrary." According to the Letter, this party was attempting to establish divine right monarchy and divine right episcopacy, meaning that neither the king nor the bishops could be constrained by the rule of law. Danby's Test Oath proposal was merely the latest, most nefarious attempt to introduce divine right monarchy and episcopacy on the country. The Letter went on to describe the debates of the House of Lords during the last session, setting forth the arguments that Shaftesbury and other lords used in opposition to Danby and the bishops. This letter was published anonymously in November 1675, and quickly became a best-seller, in no small part because it was one of the first books ever to inform the public about the debates that occurred within the House of Lords. Shaftesbury repeated the accusations of the Letter from a Person of Quality on the floor of the House of Lords during the parliamentary session of October–November 1675. During the debate on the case of Shirley v. Fagg, a jurisdictional dispute about whether the House of Lords could hear appeals from lower courts when the case involved members of the House of Commons, Shaftesbury gave a celebrated speech on 20 October 1675. He argued that Danby and the bishops were attempting to neuter the power of the House of Lords. Shaftesbury argued that every king could only rule either through the nobility or through a standing army; thus, this attempt to restrict the power of the nobility was part of a plot to rule the country through a standing army. He argued that the bishops believed that the king was king by divine right, not by law and that, if the bishops' propositions were taken to their logical conclusion, "our Magna Charta is of no force, our Laws are but Rules amongst our selves during the Kings pleasure" and "All the Properties and Liberties of the People, are to give away, not onely to the interest, but the will and pleasure of the Crown." On 20 November 1675, Shaftesbury seconded a motion by Charles Mohun, 3rd Baron Mohun of Okehampton calling on the king to end the dispute of Shirley v. Fagg by dissolving parliament. This motion, which was supported by the Duke of York and the Catholic peers, was defeated by a vote of 50–48, prompting Shaftesbury and 21 other peers to enter a protest on the grounds that "according to the ancient Lawes and Statutes of this Realm ... there should be frequent and new Parliaments" and that the House of Commons was being unnecessarily obstructionist. Parliament was prorogued on 22 November 1675, with the prorogation saying that parliament would not sit again until 15 February 1677. Shortly thereafter, there appeared a pamphlet entitled Two Seasonable Discourses Concerning the Present Parliament, that argued that the king should call a new parliament because a new parliament would vote the king money, preserve the Church of England, introduce religious toleration for the Nonconformists, and deliver Catholics from the penal laws in an exchange for Catholics being deprived of access to court, holding office, and the right to bear arms. In mid-February 1676, Charles sent his Secretary of State for the Southern Department, Sir Joseph Williamson to tell Shaftesbury to leave town. Shaftesbury refused and continued to receive visits at Exeter House from opposition MPs and other discontented elements. Danby argued that Charles should order Shaftesbury arrested and sent to the Tower of London, but Sir Joseph Williamson refused to sign the warrant. In this period, Shaftesbury relocated from Exeter House to the less expensive Thanet House. On 24 June 1676, during the election of the Sheriffs of the City of London at the Guildhall, linen draper Francis Jenks gave a sensational speech arguing that two statutes from the reign of Edward III required that parliament sit every year, and that by proroguing the Cavalier Parliament until 15 February 1677 (meaning no session would be held in 1676 at all), the king had inadvertently dissolved parliament and that the Cavalier Parliament was now legally dissolved. Although Buckingham, not Shaftesbury, was behind Jenks' speech, many suspected Shaftesbury's involvement; after Jenks' speech, Shaftesbury decided to take full advantage of the argument, arranging with his allies for a number of pamphlets arguing the case. One of these pamphlets, Some considerations upon the question, whether the parliament is dissolved, by its prorogation for 15 months? argued that parliament had the authority to restrict the royal prerogative and could even "bind, limit, restrain and govern the Descent and Inheritance of the Crown it self." The Duke of York was furious at the inclusion of this argument; Buckingham told York that Shaftesbury had drafted the controversial passage, but Shaftesbury claimed that the passage was inserted in the pamphlet without his knowledge. When parliament finally met on 15 February 1677, Buckingham, backed by Shaftesbury, Salisbury, and Philip Wharton, 4th Baron Wharton, introduced a motion declaring that, because of the 15-month prorogation, on the basis of the statutes from the reign of Edward III, no parliament was legally in existence. Parliament not only rejected this argument, but also resolved that the four peers had committed Contempt of Parliament and should apologise. When the four refused, they were committed to the Tower of London. Shaftesbury petitioned for his release, and in June 1677, brought a writ of habeas corpus before the Court of King's Bench. The court, however, determined that it lacked jurisdiction because Parliament, a superior court, was currently in session. Charles ordered Buckingham, Salisbury, and Wharton released from the Tower shortly thereafter, but Shaftesbury continued to refuse to apologise. Shaftesbury had grown increasingly suspicious of Charles II. Charles had begun raising an army, ostensibly for war with France, but Shaftesbury worried that Charles was really preparing to abolish parliament and rule the country with a standing army on the model of Louis XIV of France. It was not until 25 February 1678 that Shaftesbury finally apologised to the king and to parliament for his support of the motion in the House of Lords and for bringing a writ of habeas corpus against Parliament. With war with France looming, in March 1678, Shaftesbury, Buckingham, Holles, and Halifax spoke out in favour of immediately declaring war on France. Charles delayed declaring war, however, leading Shaftesbury to support a resolution of the House of Commons providing for immediately disbanding the army that Charles was raising. Charles prorogued parliament on 25 June, but the army was not disbanded, which worried Shaftesbury. Titus Oates (1649–1705), whose accusations in autumn 1678 that there was a Popish Plot to murder the king and massacre English Protestants, set off a wave of anti-Catholic hysteria. Shaftesbury would play a prominent part in prosecuting the individuals whom Oates (falsely) accused of manufacturing this plot. The wave of anti-Catholic sentiment set off by Oates would be at the centre of Shaftesbury's political program during the Exclusion Crisis. In August and September 1678, Titus Oates made accusations that there was a Popish Plot to assassinate the king, overthrow the government, and massacre English Protestants. It was later revealed that Oates had simply made up most of the details of the plot, and that there was no elaborate Popish Plot. However, when Parliament re-convened on 21 October 1678, Oates had not yet been discredited and the Popish Plot was the major topic of concern. Shaftesbury was a member of all the important committees of the House of Lords designed to combat the Popish Plot. On 2 November 1678, he introduced a motion demanding that the Duke of York be removed from the king's presence, although this motion was never voted on. He supported the Test Act of 1678, which required that all peers and members of the House of Commons should make a declaration against transubstantiation, invocation of saints, and the sacrifice of the mass, effectively excluding all Catholics from Parliament. Oates had accused the queen, Catherine of Braganza, of involvement in the Popish Plot, leading the House of Commons to pass a resolution calling for the queen and her retinue to be removed from court; when the House of Lords rejected this resolution, Shaftesbury entered a formal protest. Shaftesbury was now gaining a great reputation amongst the common people as a Protestant hero. On 9 November 1678, Charles promised that he would sign any bill that would make them safe during the reign of his successor, so long as they did not impeach the right of his successor; this speech was widely misreported as Charles' having agreed to name the Duke of Monmouth as his successor, leading to celebratory bonfires throughout London, with crowds drinking the health of "the King, the Duke of Monmouth, and Earl of Shaftesbury, as the only three pillars of all safety." The citizens of London, fearing a Catholic plot on Shaftesbury's life, paid for a special guard to protect him. In December 1678, discussion turned to impeaching the Earl of Danby, and, to protect his minister, Charles II prorogued parliament on 30 December 1678. On 24 January 1679, Charles II finally dissolved the Cavalier Parliament, which had sat for 18 years. In February 1679, elections were held for a new parliament, known to history as the Habeas Corpus Parliament. In preparation for this parliament, Shaftesbury drew up a list of members of the House of Commons in which he estimated that 32% of the members were friends of the court, 61% favoured the opposition, and 7% could go either way. He also drafted a pamphlet that was never published, entitled "The Present State of the Kingdom": in this pamphlet, Shaftesbury expressed concern about the power of France, the Popish Plot, and the bad influence exerted on the king by Danby, the royal mistress Louise de Kérouaille, Duchess of Portsmouth (a Catholic), and the Duke of York, who, according to Shaftesbury was now attempting "to introduce a military and arbitrary government in his brother's time." The new parliament met on 6 March 1679, and on 25 March, Shaftesbury delivered a dramatic address in the House of Lords in which he warned of the threat of popery and arbitrary government; denounced the royal administration in Scotland under John Maitland, 1st Duke of Lauderdale and Ireland under James Butler, 1st Duke of Ormonde; and loudly denounced the policies of Thomas Osborne, Earl of Danby in England. Shaftesbury supported the House of Commons when they introduced a Bill of Attainder against Danby, and voted in favour of the bill in the House of Lords on 14 April 1679. Shaftesbury attempted to neutralise the influence of the episcopal bench in favour of Danby by introducing a bill moving that the bishops should not be able to sit in the House of Lords during capital trials. Charles II thought that Shaftesbury was mainly angry because he had been out of royal favour for long, and hoped that he could rein Shaftesbury in by naming him Lord President of the Council on 21 April 1679, with a salary of £4,000 a year. Soon, however, Shaftesbury made it clear that he could not be bought off. During meetings of the now reconstituted privy council, Shaftesbury repeatedly argued that the Duke of York must be excluded from the line of succession. He also continued to argue that Charles should remarry a Protestant princess, or legitimise James Scott, 1st Duke of Monmouth. During these meetings, Arthur Capell, 1st Earl of Essex and George Savile, 1st Earl of Halifax argued that the powers of a Catholic successor could be limited, but Shaftesbury argued that that would change "the whole government, and set up a democracy instead of a monarchy." William Russell, Lord Russell (1639–1683) was one of Shaftesbury's closest political allies during the Exclusion Crisis; a leader in the House of Commons, he introduced the Exclusion Bill on 11 May 1679. On 11 May 1679, Shaftesbury's close political ally, William Russell, Lord Russell, introduced an Exclusion Bill in the House of Commons, which would have excluded the Duke of York from the succession. This bill passed first and second reading on 21 May 1679. To stop the Exclusion Bill and the Bill of Attainder directed at Danby, Charles II prorogued the parliament on 27 May 1679 and dissolved it on 3 July 1679, both of which moves infuriated Shaftesbury. As its name implies, the only achievement of the Habeas Corpus Parliament was the passage of the Habeas Corpus Act of 1679. For the time being, Shaftesbury retained his position on the privy council, and he and the Duke of Monmouth formed an alliance on the council designed to be obstructionist. There were some disagreements between Shaftesbury and Monmouth: for example, Shaftesbury was critical of Monmouth's decision to crush a rebellion by Scottish Covenanters quickly at the Battle of Bothwell Brig in June 1679, arguing that the rebellion should have been drawn out to force Charles II to recall parliament. On 21 August 1679, the king fell ill, leading Essex and Halifax (who feared Monmouth was about to launch a coup) to ask the Duke of York, whom Charles had sent to Brussels in late 1678, to return to England. Charles soon recovered and then ordered both York and Monmouth into exile. When Charles agreed to allow his brother to move from Flanders to Scotland in October 1679, Shaftesbury summoned an extraordinary meeting of the privy council to discuss the Duke's move, acting on his own authority as Lord President of the Council because the king was at Newmarket at the time. Angered by this insubordination, Charles removed Shaftesbury from the privy council on 14 October 1679. "The Solemn Mock Procession of the Pope, Cardinals, Jesuits, Friars, Etc. Through the City of London, 17 November 1679." Throughout the Exclusion Crisis, Shaftesbury's Whig allies in the Green Ribbon Club engaged in anti-Catholic propaganda, such as mock processions, the climax of which involved burning the pope in effigy. Elections for a new parliament, which ultimately came to be known as the Exclusion Bill Parliament, were held in summer 1679, but they went badly for the court, so, with parliament scheduled to meet in October 1679, Charles prorogued the parliament until 26 January 1680. Shaftesbury worried that the king might be intending to not meet this new parliament, so he launched a massive petitioning campaign to pressure the king to meet parliament. He wrote to the Duke of Monmouth, telling him that he should return from exile, and on 27 November 1679 Monmouth rode back into London amidst scenes of widespread celebration. On 7 December 1679, a petition signed by Shaftesbury and fifteen other Whig peers calling on Charles to meet parliament, followed up with a 20,000-name petition on 13 January 1680. However, instead of meeting parliament, Charles further prorogued parliament and recalled his brother from Scotland. Shaftesbury now urged his friends on the privy council to resign and four did so. On 24 March 1680, Shaftesbury told the privy council of information he had received that the Irish Catholics were about to launch a rebellion, backed by the French. Several privy councillors, especially Henry Coventry, thought that Shaftesbury was making the entire story up to inflame public opinion, but an investigation was launched. This investigation ultimately resulted in the execution of Oliver Plunkett, Catholic Archbishop of Armagh, on trumped-up charges. On 26 June 1680, Shaftesbury led a group of fifteen peers and commoners who presented an indictment to the Middlesex grand jury in Westminster Hall, charging the Duke of York with being a popish recusant in violation of the penal laws. Before the grand jury could act, they were dismissed for interfering in matters of state. The next week, Shaftesbury again tried to indict the Duke of York, but again the grand jury was dismissed before it could take any action. The parliament finally met on 21 October 1680, and on 23 October, Shaftesbury called for a committee to be set up to investigate the Popish Plot. When the Exclusion Bill again came before the House of Lords, Shaftesbury gave an impassioned pro-Exclusion speech on 15 November. The Lords, however, rejected the Exclusion Bill by a vote of 63–30. The Lords now explored alternative ways of limiting the powers of a Catholic successor, but Shaftesbury argued that the only viable alternative to exclusion was calling on the king to remarry. On 23 December 1680, Shaftesbury gave another fiery pro-Exclusion speech in the Lords, in the course of which he attacked the Duke of York, expressed mistrust of Charles II, and urged the parliament to not approve any taxes until "the King shall satisfie the People, that what we give is not to make us Slaves and Papists." 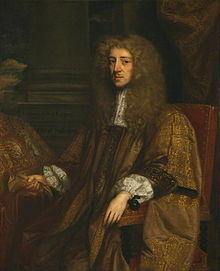 With parliament pursuing the Irish investigation vigorously, and threatening to impeach some of Charles II's judges, Charles prorogued parliament on 10 January 1681, and then dissolved it on 18 January, calling for fresh elections for a new parliament, to meet at Oxford on 21 March 1681. On 25 January 1681, Shaftesbury, Essex, and Salisbury presented the king a petition signed by sixteen peers asking that parliament should be held at Westminster Hall rather than Oxford, but the king remained committed to Oxford. In February 1681, Shaftesbury and his supporters brought another indictment against York, this time at the Old Bailey, with the grand jury this time finding the bill true, although York's counsel were able to pursue procedural delays until the prosecution lapsed. At the Oxford Parliament, Charles insisted he would listen to any reasonable expedient short of changing the line of succession that would assuage the nation's concerns about a Catholic successor. On 24 March 1681, Shaftesbury announced in the House of Lords that he had received an anonymous letter suggesting that the king's condition could be met if he were to declare the Duke of Monmouth legitimate. Charles was furious. On 26 March 1681, an Exclusion Bill was introduced in the Oxford Parliament and Charles dissolved parliament. The only issue the Oxford Parliament had resolved had been the case of Edward Fitzharris, who was to be left to the common law, although Shaftesbury and 19 other peers signed a formal protest of this result. The end of the Oxford Parliament marked the beginning of the so-called Tory Reaction. On 2 July 1681, Shaftesbury was arrested on suspicion of high treason and committed to the Tower of London. He immediately petitioned the Old Bailey on a writ of habeas corpus, but the Old Bailey said it did not have jurisdiction over prisoners in the Tower of London, so Shaftesbury had to wait for the next session of the Court of King's Bench. Shaftesbury moved for a writ of habeas corpus on 24 October 1681, and his case finally came before a grand jury on 24 November 1681. The government's case against Shaftesbury was particularly weak – most of the witnesses brought forth against Shaftesbury were witnesses whom the government admitted had already perjured themselves, and the documentary evidence was inconclusive. This, combined with the fact that the jury was handpicked by the Whig Sheriff of London, meant the government had little chance of securing a conviction and on 13 February 1682, the case against Shaftesbury was dropped. The announcement prompted great celebrations in London, with crowds yelling "No Popish Successor, No York, A Monmouth" and "God bless the Earl of Shaftesbury". In May 1682, Charles II fell ill, and Shaftesbury convened a group including Monmouth, Russell, Ford Grey, 3rd Baron Grey of Werke, and Sir Thomas Armstrong to determine what to do if the king died. They determined they would launch a rebellion demanding a parliament to settle the succession. The king recovered, however, and this was not necessary. At the election of the Sheriffs of London in July 1682, the Tory candidates prevailed. Shaftesbury was worried that these Sheriffs would be able to fill juries with Tory supporters and he was desperately afraid of another prosecution for high treason. Shaftesbury, therefore began discussions with Monmouth, Russell, and Grey to launch co-ordinated rebellions in different parts of the country. Shaftesbury was much more eager for a rebellion than the other three, and the uprising was postponed several times, to Shaftesbury's chagrin. Following the installation of the new Tory sheriffs on 28 September 1682, Shaftesbury grew desperate. He continued to urge an immediate uprising, and also opened discussions with John Wildman about the possibility of assassinating the king and the Duke of York. With his plots having proved unsuccessful, Shaftesbury determined to flee the country. He landed at Brielle sometime between 20 and 26 November 1682, reached Rotterdam on 28 November, and finally, arrived in Amsterdam on 2 December 1682. Shaftesbury's health had deteriorated markedly during this voyage. In Amsterdam, he fell ill, and by the end of December he found it difficult to keep down any food. He drew up a will on 17 January 1683. On 20 January, in a conversation with Robert Ferguson, who had accompanied him to Amsterdam, he professed himself an Arian. He died the next day, on 21 January 1683. According to the provisions of his will, Shaftesbury's body was shipped back to Dorset on 13 February 1683, and he was buried at Wimborne St Giles on 26 February 1683. Shaftesbury's son, Lord Ashley, succeeded him as Earl of Shaftesbury. In North America, the Cooper River and the Ashley River which merge in Charleston, South Carolina are named in his honor. The Ashley was given its current name by explorer Robert Sandford. Shaftesbury has been portrayed on screen by Frederick Peisley in The First Churchills (1969) and by Martin Freeman in Charles II: The Power and The Passion. "Despite the fact that he had been pursued ardently by the Royalists in tempting correspondence, Ashley Cooper had continued to reject their overtures. He appeared deaf to the personal appeals of the King. He had been elected to the Council of State by the Rump, although he was of the majority of the Council who refused to accept the additional clause renouncing Charles Stuart, proposed by Desborough. But it was not until February 1660 that he allowed himself to be drawn into correspondence with the exiled court, as we know from Hyde's complaint on the subject. "When on 24 February Lady Willoughby de Broke told [Charles's adviser and later Earl of Clarendon, Edward] Hyde that Ashley Cooper was 'his Majesty's fast friend', Hyde replied tartly that this was the first he had heard of it." Character assassination by Bishop Gilbert Burnet (1643-1715). A man of popular eloquence, who could mix the facetious and the furious way of arguing very agreeably, and who had got the art of governing parties, and making himself the head of them, just as he pleased. His religion was that of a deist at the best; he had the dotage of astrology in him to a great degree, and fancied that our souls, after death, lived in the stars. His learning was superficial. He understood little to the bottom; but his vanity in setting himself out was ridiculous and disgusting. His reasoning was loose, his discourse rambling, and he had a better way of bantering or bearing down an argument than he had in supporting it. After all, his chief strength lay in knowing mankind, their understandings and tempers, and applying himself to them so dexterously that though, by his changing sides so often, it was visible he was not to be depended on, nay, though he himself was not ashamed to recount the many turns he had made, and to value himself upon them, yet he still could create a dependence, and make himself the centre of any discontented party. "Another boy that grew up to influence Sam's life, Anthony Ashley Cooper, was also living off Fleet Street, in Three Cranes Court, from 1631 to 1635...He lived as an orphan with his guardian, Sir Daniel Norton, who was in London during the law terms, from 1631,when he was 10 until he was 14 years old. As Lord Ashley, he became a member of the famous Cabal. He held the office of Lord High Chancellor from 1672 until 1673. The great talents of the earl of Shaftesbury, and his exact knowledge of men and things, contributed to render him one of the first characters of his age. But the violence of his passions, and the flexibility of his principles, prompted him to act very different, and even contrary parts. This was in some measure owing to the changes in the times in which he lived; but is more to be attributed to the mutability of his character, which ever varied with the interests of his ambition. When we consider him as sitting in the highest tribunal in the kingdom, explaining and correcting the laws, detecting fraud, and exerting all the powers of his eloquence on the side of justice; we admire the able lawyer, the commanding orator, and the upright judge. But when he enters into all the iniquitous measures of the Cabal, when he prostitutes his eloquence to enslave his country, and becomes the factious leader and the popular incendiary; we regard him with an equal mixture of horror and regret. 1621-1683. A prominent English politician of the Interregnum and during the reign of Charles II.